Ashford Castle, located on Ireland’s west coast has a history that stretches as far back as 1228. Once owned by the Guinness family, it’s now one of Ireland’s leading Five Star Hotels. Years ago, in the lobby of a hotel in Rome, flipping through a glossy magazine, a saw a photos of Ashford Castle, its thick grey walls and long, green lawns, and ripped the page right out. 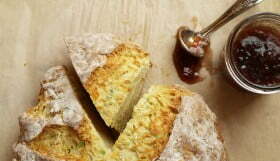 The article was in Italian, but the photo was in a language I understand well: decadence. Voted Best Resort Hotel in Europe by readers of Conde Nast Traveller in 2010, this magnificent Castle on that ripped page has been in a file I have cleverly marked ‘Wicked Cool Places To Go’. That file has been the source of many trips and discoveries over the years, but this ancient jewel, one of Ireland’s great gourmet destinations, has eluded me. 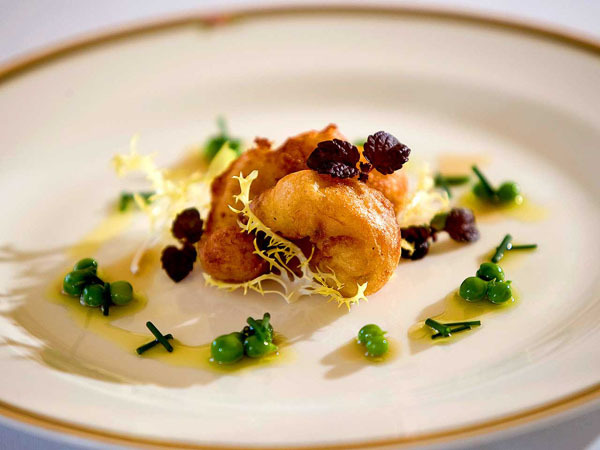 This year, as I pondered a post to celebrate St. Patrick’s Day, I took a chance and sent a request to this grand castle, and asked if their Head Chef might consider sharing a recipe with you my readers, along with his thoughts on Irish Cuisine in the 21 Century. Imagine my delight when they said “yes”. 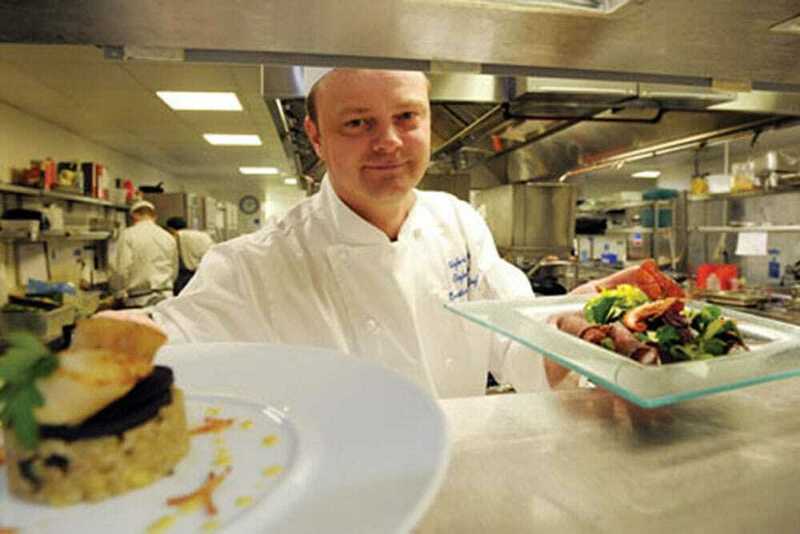 At the helm of Ashford Castle’s kitchens is Head Chef Stefan Matz: widely considered one of Ireland’s top chefs, Chef Matz has received countless accolades for his culinary expertise, including Best Chef in Ireland and a Michelin Star. Under him a dedicated group of culinary professionals executes an impressive choice of unique dining experiences, each with its own style and ambiance, from fine dining to informal pub-style food. This week, Chef Matz found time in his busy schedule to share his unique insights on a topic that is clearly his great passion, then proceeded to debunk every cliché myth about Irish food — not bad for a foreigner. Chef Matz moved from his native Germany in 1990, when his family purchased a small country hotel in Ballyconneely, Co.Galway, where they use to spend their summer vacations. His soft, German accent is now effected with a hint of the Irish lilt, his manner is professional and completely self-effacing, and he modestly attributes his success to “good luck and timing”, and gives credit for the Michelin Star on his curriculum vitae to the constant pursuit of perfection encouraged by his older brother. “When I started off [in the late 80’s, early 90’s] there was no, or very little, good food around Ireland. So it was great to be here when everything was evolving and developing. My brother, who was the front of house, was tough on me and he pushed me all the way. In your younger years it’s good to have someone push you, until you accept, and agree, and take things on yourself” Chef Matz confided. There is something to be said for those who push us in the kitchen. Often they see something in us that we don’t see in ourselves. “Yes, but I also think my older brother was pushing me just because he enjoyed doing that!” Hooray for siblings! 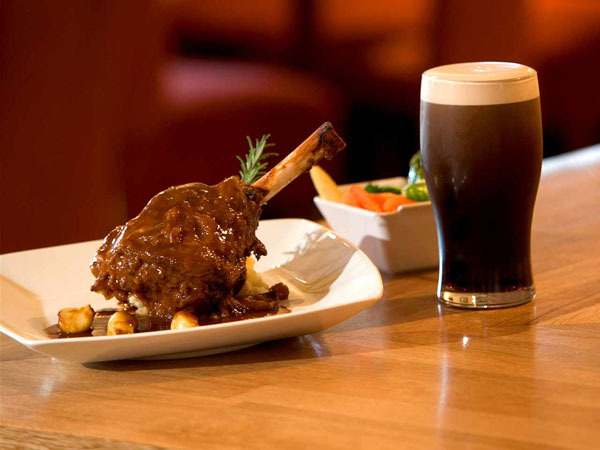 Flash forward 20 years to today’s Irish Cuisine and we see a great deal of change. In North America we have a preconceived notion of Irish food: take anything and put Guinness or whiskey in it and call it Irish. But what does traditional Irish food really entail? I’ve long been suspicious of corned beef. Is it Irish, or is corned beef to Irish cuisine what deep dish pizza is to Italian cuisine? Light bulb moment; this put into context my sweet little Irish grandmother’s cooking. God help me, but that woman could not cook! I vividly recall lumpy gravy, and watery stew. I had never considered that this because her family, who immigrated to Canada during the potato famine, were used to stretching food as far as they could. “Not just during the potato famine, but up until twenty or thirty years ago in Ireland, many people lived under very poor conditions; without electricity, without running water, without any heating except for a single stove” said Matz. Amazing the difference a few years can make. 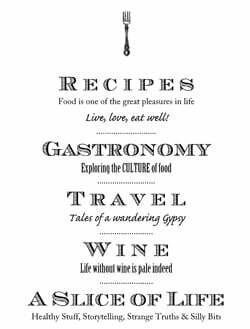 A better economy, the end of a long, drawn out war, better infrastructure and a boom in artisan agriculture, and you have all the ingredients for a bustling culinary scene.  “What is now happening is contemporary cooking [influenced] from around Europe and America, because many of the chefs who had left Ireland at some point, came back after a couple of years, and brought back that international experience with them. 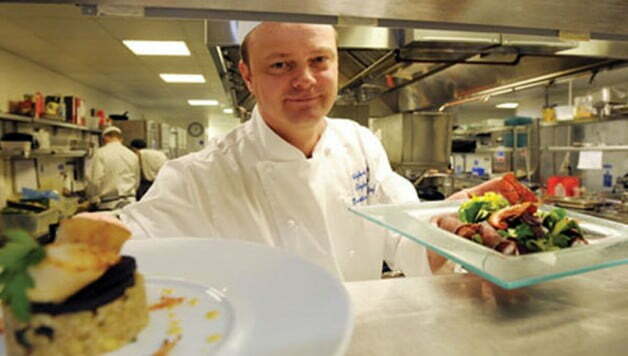 Irish cooking is about the local ingredients more than anything else” says Chef Matz. In Ireland, the Guinness is for drinking, not for cooking. “I think we, in Ireland, are spoiled by good quality raw ingredients such as lamb and beef of superb quality, fish, seafood, shellfish, which are superb when available (if the weather’s good enough); that is without a doubt second to none! This was the part of our conversation where my stomach started to growl and I began longing for Irish cheese and slow cooked lamb, deep water prawns and barley, Chef Matz’ current favourite Irish ingredients. Chef Matz shares with us one of his informal offerings from Cullen’s at the Cottage, a small thatch roofed cottage on the Castle grounds with a lean towards hearty, Irish comfort food, with a contemporary flair. 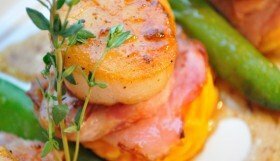 His Char Grilled Scallops with Bacon, Sweet Potato Lemon Thyme Champ recipe is our choice for this season on Food Gypsy, as we celebrate St. Patrick’s Day. 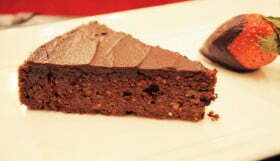 A stunning example of Ireland’s renaissance cuisine, and not a drop of whiskey to be seen. 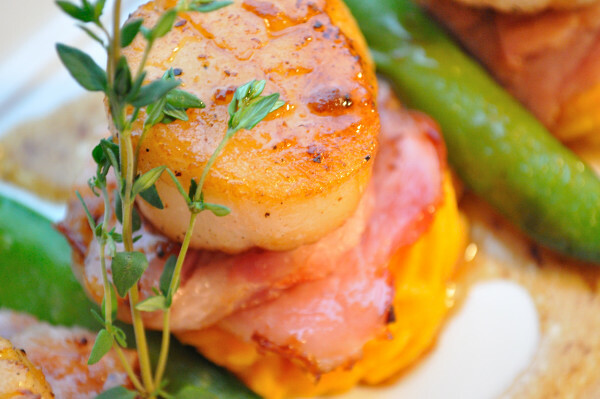 Char Grilled Scallops, Bacon & Sweet Potato Lemon Thyme Champ, Chef Matz’ recipe in the Gypsy Kitchen. 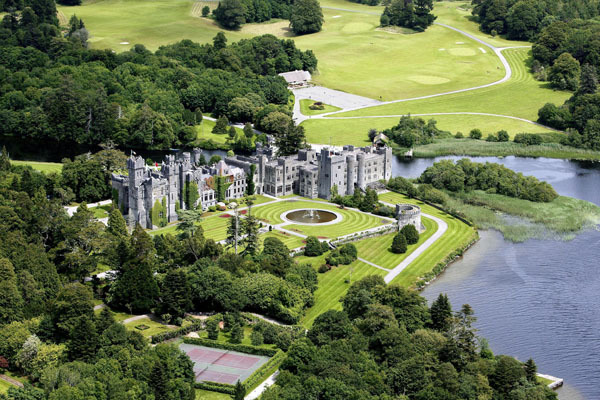 Despite being among the top hotels in Europe, Ashford Castle offers packages that make it surprisingly affordable; three night B&B packages start at 130 Euros/night and include a full, Irish breakfast. For those who seek a glimpse into the life of past landed gentry, there are few destinations that are this Castle’s equal. I fancy myself spending mornings on horseback exploring the Castle’s 350 acre estate, popping into lunch at Cullen’s on the Cottage and trying my hand (or rather, arm) at falconry. 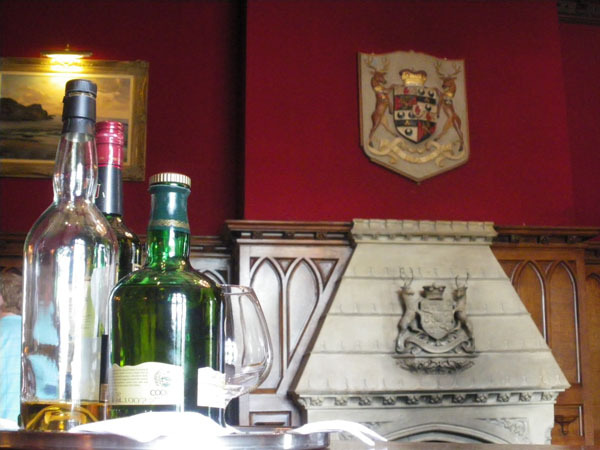 We would, of course, dress for dinner in the George V Dining Room where the man in my life would describe (in great detail) his round of golf, over some of Ireland’s finest ingredients… and a great deal of cheese. Clearly I’ve been influenced by one too many a Victorian novelist. A very special thanks to Ashford’s Chef Matz & Paula Carroll for this rare glimpse into Irish Cuisine. It has been a pleasure. Im including this article in my blogs top ten blog posts of 2012. Was a pleasure reading this. Thanks again.